TP-Link Community > Knowledge Base > What should I do if I got a certificate error? 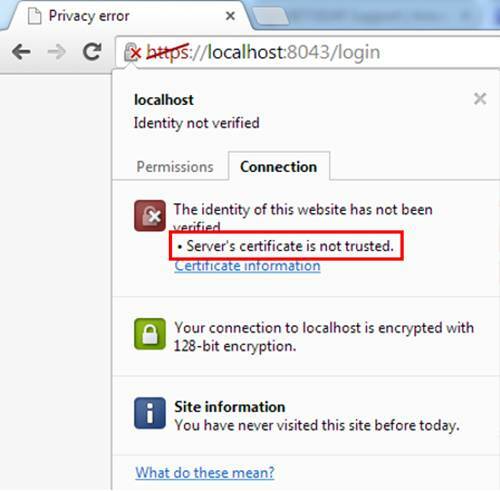 When try to visit the web interface via https in Chrome, such as the web interface of EAP Controller or Pharos CPE Series, it said server’s certificate is not trusted. 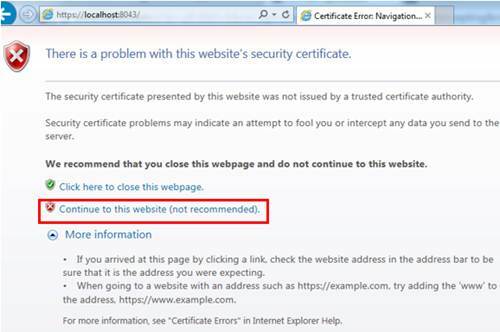 The certificate refers to how public websites trust each other. It is safe enough since we can make sure the IP address to be the same of the server’s. Here are two examples for how to get through the certificate error when it occurred on TP-Link products. Click on Advanced -- Proceed to localhost (unsafe), the web interface of EAP Controller will show up. While in Internet Explorer, you can just click on Continue to this website (not recommended) to visit the web interface. For the EAP devices, its certificate can’t be changed; while for the EAP controller, you can manually import your own certificate if you have one. 1. Disable the EAP controller on your computer. 2. Copy your keystore file (such as keystore.jks file) into the “keystore” folder of the EAP controller’s installation path. 3. Enter the “properties” folder of EAP controller installation path, edit the “jetty.properties” file. 6. 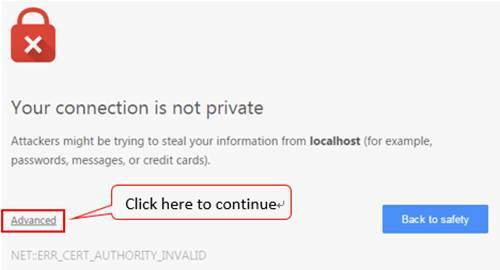 Launch the EAP controller, then you can use your domain name according to your certificate to visit the controller, such as https://hostname:8043, please note that the IP of hostname should be the IP of the controller PC. Hi TP-Link community, such feature would be great for the OC200 (GUI and Portal).